The Mauviel M'cook sauce pan offers you the highest culinary technology. Whether you are boiling water, heating up milk, or cooking sauce, this sauce pan provides you with perfect heat conductivity and heat distribution. All thanks to its 5 layer stainless steel construction. Mess free sauce cooking is guaranteed thanks to its no-drip edge. 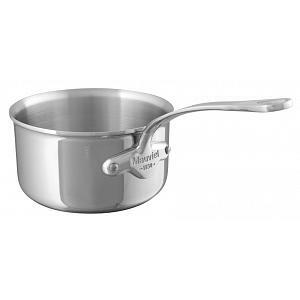 The Mauviel sauce pan features a multi-ply 18/10 stainless steel construction. The polished outside finish is sure to stand out in your kitchen. 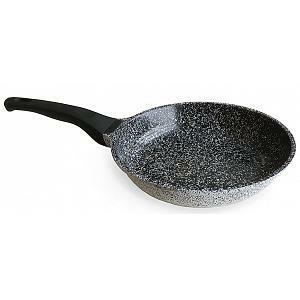 The pan has a comfortable stainless steel handle, securely attached with stainless steel rivets. 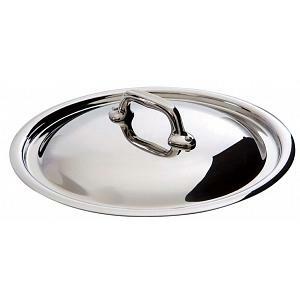 The small sauce pan has a capacity of 0.8L / 0.8qt and a diameter of 12cm / 4.75 inches. The pan can be used on gas, electric, halogen, and induction stoves. It's dishwasher safe and goes into the oven too! The Mauviel sauce pan has a lifetime warranty and was proudly made in France. Check below for other sizes and a matching lid.